For the practitioner dealing with close corporations law, the effort of remaining up-to-date with details of new legislation can be time-consuming. 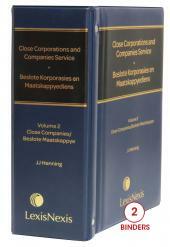 In addition, the proliferation of close corporations in the past decade has engendered the need for a definitive work on the law and practice by which close corporations are regulated. 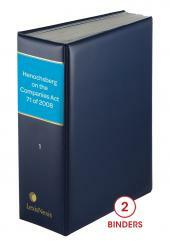 Henochsberg on the Close Corporations Act is a single binder publication which forms part of the Henochsberg on the Companies Act set.